As the name suggests, line scan cameras will scan long objects or continuous fabrics. This is done by recording the image data line-by-line at a very high speed and with a high rate of accuracy. 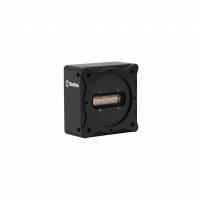 The pixel size of line scan cameras enable them to achieve a very high quality image, ideal for applications in quality assurance that require a high resolution at high speeds. Semiconductors, wafers, textile webs, paper and other surfaces can quickly be checked for faults during operation or manufacturing. True 24-bit true-color images can be captured with color line scan cameras. This is best when examining food, the print quality of an object or even glass. Reading barcodes, QR codes or text lines for the sorting of packs becomes a quick process with these cameras as well. 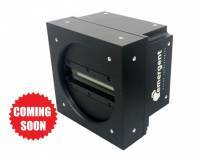 Still unsure if a line scan camera is right for your application? Our FRAMOS imaging experts are always available to help guide you in the right direction. Let us know what your requirements are, and we will help find the right camera that fits both budget and application.